I have some wonderful memories when I happened to step into this beautiful country of U.A.E in 2007. One of them were my frequent visits to Govinda’s at Karama with my brother who swore it was the best in town for vegetarians. And most of my relatives that come down from India are looking for pure vegetarian food without onion & garlic hence opt for this restaurant. 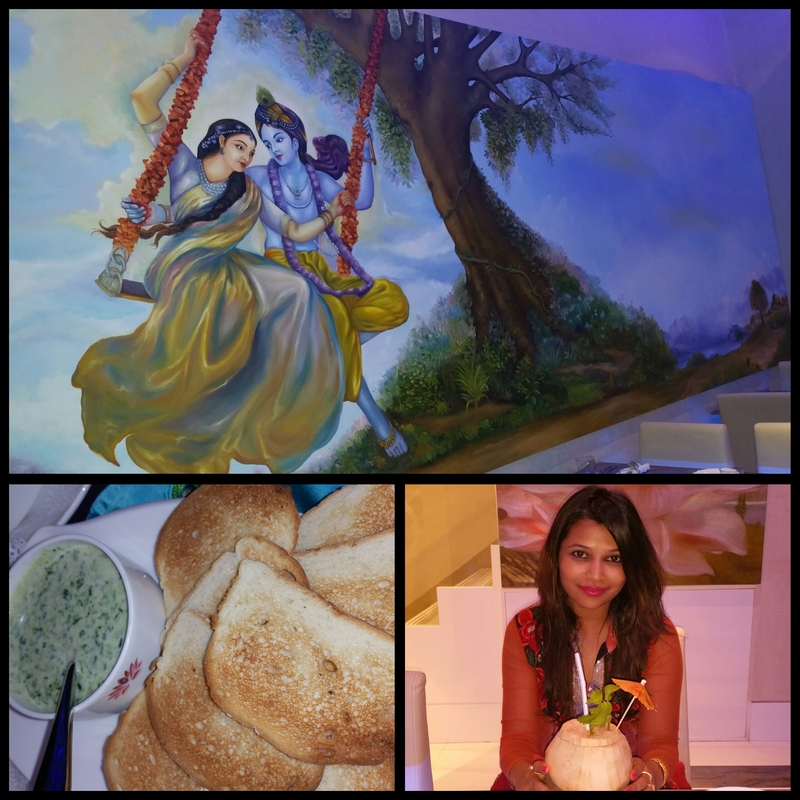 As my mother is in town, I planned a small gathering at the newly opened Govinda’s on Jumeirah Beach Road. It’s a small cosy restaurant that has a peaceful vibe to it. Once you enter it your eyes will immediately move to the beautiful painting of Lord Krishna and Radha on the wall and you will hear the chanting of Radha Krishna Bhajan’s in the background. I have grown up listening to them and my son Nirvaan knows them all by now and he instantly started humming. It was a cute sight as everybody smiled. Now let me tell you all about the food that we had and my recommendation. You cannot miss the Sitafal Milkshake and Sitafal Coconut Breezer. Very refreshing with great presentation. 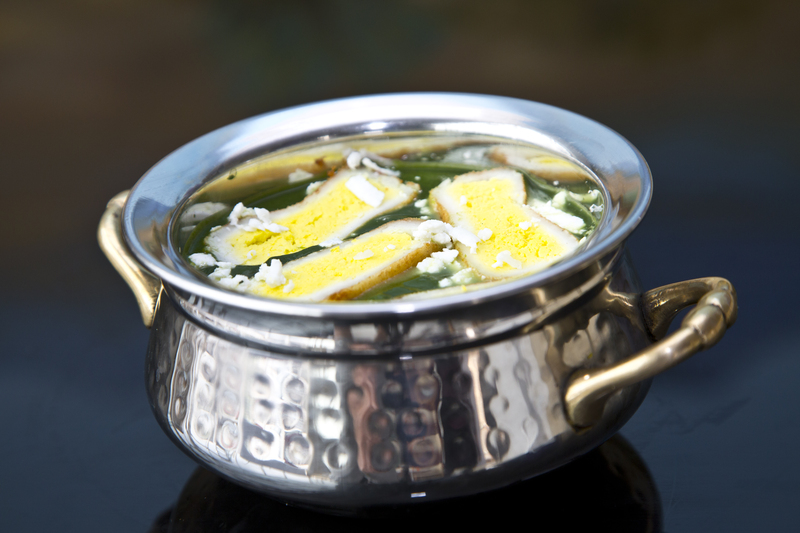 Soups that I go by : Vegetable Sweet Corn, Hot n Sour and Coriander Lemon soup is my favorite from the list. For the starters, Spinach Cheese dip is delicious and kids really enjoyed it. It was just made perfectly. Panner lemon tikka was soft and nice. 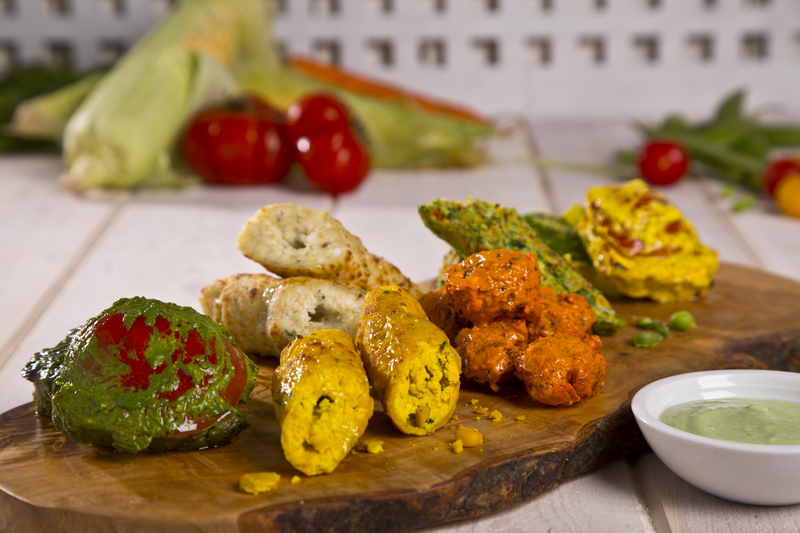 Govinda Tandoori Patter is good as we get to try Broccoli, Baby Corn, Gobhi and baby potatoes. For main course, I would suggest Nargisi Kofta, Paneer Kolphapuri, Dal Makhani and a bread basket would be great if you are with family. Avoid Biryani, we ordered for Hyderabadi Biryani and none of us liked it as it was very bland not as spicy as it should be. We all were too full to try any sweets but they have a good choice of sweets as well. Do remember if you are going in a big group, it is a bit congested as the adjacent tables are very close to each other and the servers will ask you again and again for space to move. But as the food is delicious,I don’t mind these small inconveniences. There are ample of good drinks: Paradise a mix fruit drink, Eye Opener a mix of fruits and vegetable very healthy and ofcourse coconut water. Keep some space for the fresh ice-cream flavors that include mango, lychee, sitafal, pistachio, badam and many more. On an average a dish is between the range AED 35 to 45. 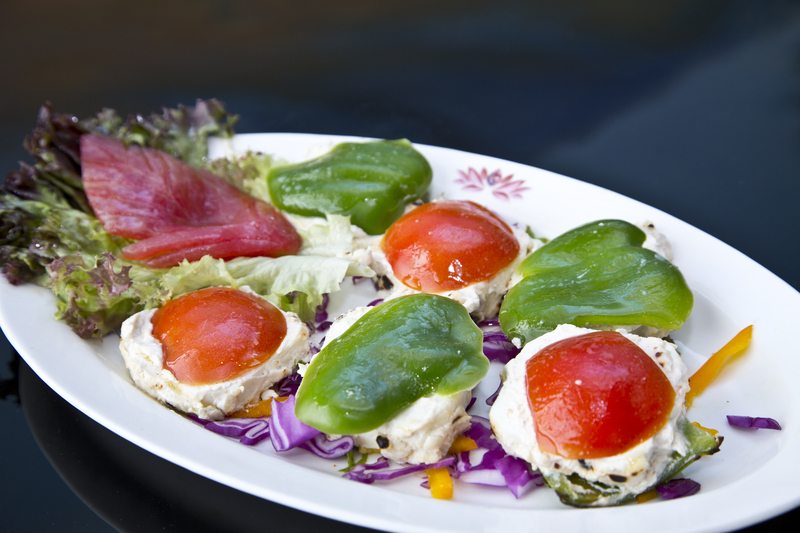 Dinner for 2 with drinks/ice-creams is around AED 250-300. 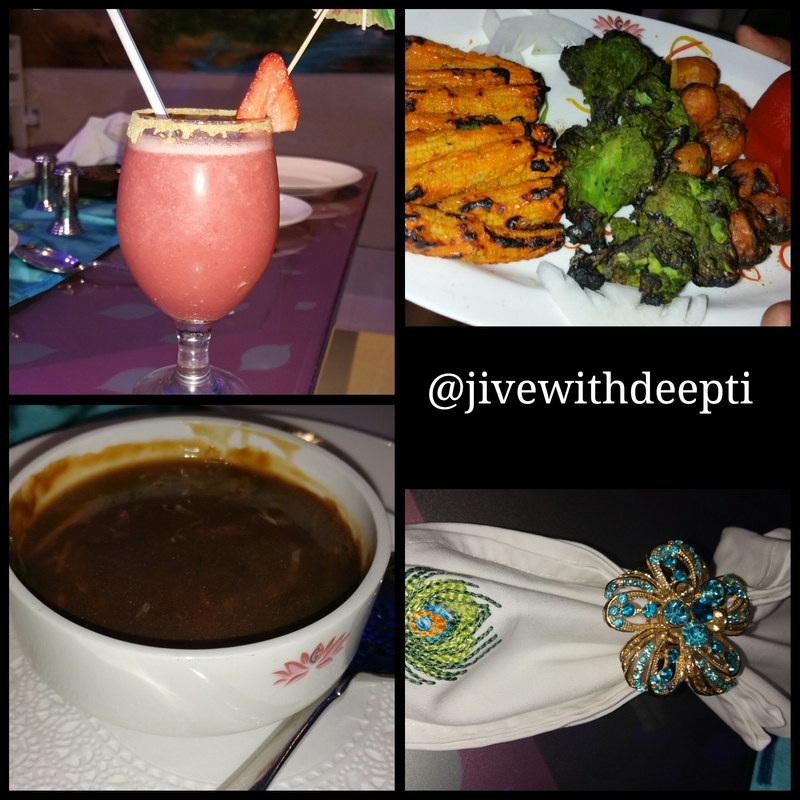 Have been To Govindas Jumeirah recently…its really amazing .. I have just visited your blog and trust me, seriously, I am in love with it. All these exotic food photos, Yumm !! Really love you writing equally as your photos. Keep rocking !